Okay! Musume Time: Hello? Please Leave A Message at the Beep! 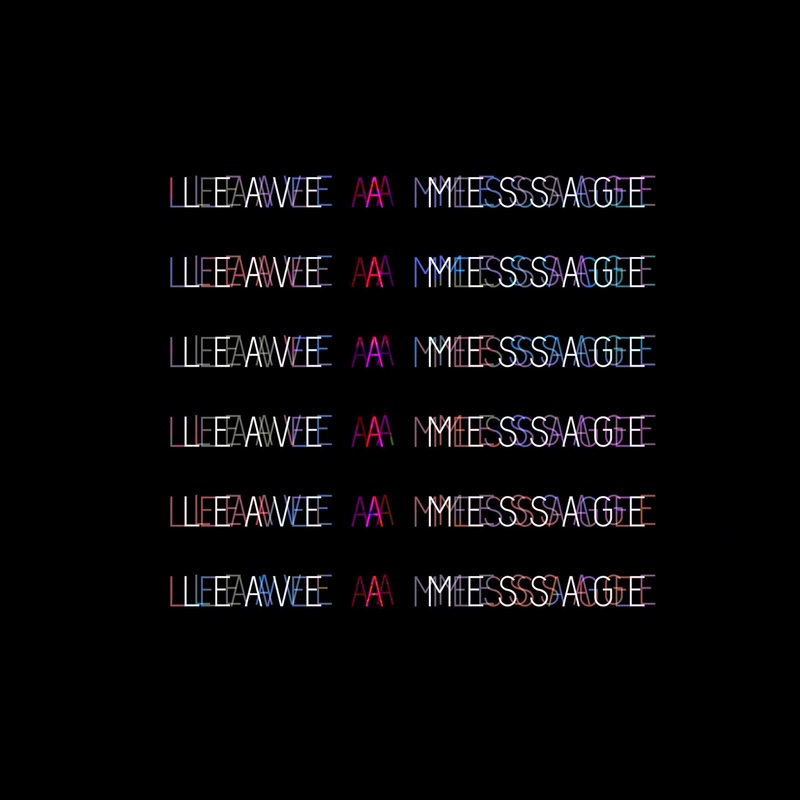 - 4TE's 'Leave A Message' Review! Hello? Please Leave A Message at the Beep! 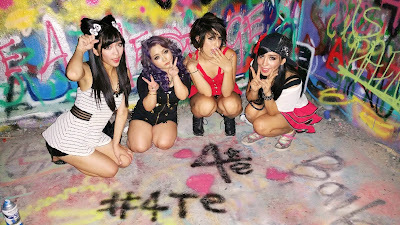 - 4TE's 'Leave A Message' Review! All thoughts and opinions are completely my own to make. If you do not like what is said, you know that you do not have to read. Thank you. "Leave a message at the tone..."
"Hey guys, I'm just calling to let you know that when you feel the need to take a break from your cute sounding J-pop, why not try something a little more edgy? I feel that it might be well worth your time to tickle your taste buds, and have a go at some 4TE... Just thought I'd let you know." If you have yet to hear from 4TE, then I do believe it's high time you check them out right now! Based all the way in America, Jenny D, Micchi, Chii and Mei are all passionate about music and Japan, and have collectively come together through the wonder that is the internet to create 4TE, a group who create original Japanese pop content, and not just for fun; this is also a professional endeavour, and you can see that in their music and video production. I've talked about 4TE previously, back in January 2015 when they debuted with their single MORE / Ippo Zutsu, a cuter, more poppy sound that hooked and awed me, not just in its quality, but also with how fun it was. Needless to say, I am pleased that once again, 4TE reached out to me and asked if I would like to review their latest song release, Leave A Message. And yes, leave a message, I shall! Let the tone play! Fun and vibrant in sound, Leave A Message brings forth a new approach to 4TE, one that is less cute and a lot more edgy and cool in look, sound and atmosphere. So yeah, don't be fooled by those cute puppy dog eyes; these girls are a lot more trouble than you would think! Seriously though, this song is damn catchy! I actually can't get it out of my head, which in turn makes it one of my most played, randomly sung and most enjoyed songs in these early days of 2016, next to a few others, of course. Really, these girls... they are a force to be reckoned with! 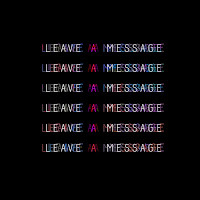 A bit clubby in sound, Leave A Message is upbeat and fast-paced, whilst incorporating the sound of telephone rings, tones and beeps that we all know sound annoying when we just want our friends, mother, aunts or uncles to pick up the damn phone so we can talk to them. Luckily, these notable sound effects are anything but annoying, successfully adding to the overall atmosphere and tone of the song we are listening to right now. Honestly though, my favourite aspect of this entire song - aside from how beautifully crafted and brilliantly catchy it is - happens to be the rap segment of Leave A Message between both Jenny and Chii, especially Jenny's part. It's powerfully memorable, and honestly, I just want to hear Jenny rap more; she's pretty good at it, and definitely delivered the lines in a manner that was both cool and confident. I love the inclusion of rap, so yeah, there's no denying that part would be one of my favourites here. Speaking of Jenny D; doesn't she look just amazing here!? Everyone looks amazing, but honestly, when I first saw Jenny's makeup, I was delighted - whoever it, keep doing what you do! It's perfect for the video, and really reflects that stylish yet edgy feel of the video and Jenny as a whole. Seriously... this girl looks FIERCE! In general though, Jenny floored me in Leave A Message. She was the standout member this time, for sure. In regards to the video itself, I really did enjoy it, with the only drawback for me as a viewer being the lighting during some of the solo shots in the club scenes. I'm a stickler when it comes to music videos, I swear, but I do understand that, being filmed in a club, the lighting during solo shots would need to be bright, therefore making this issue pretty minor. 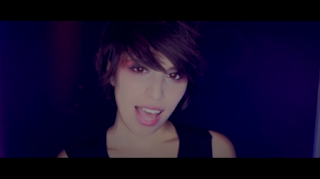 Other than that though, I like this video; it's well shot, the editing is smooth and the transitions are pretty good. I like the camera movement used throughout the video, and of course, I like that this club-sounding song is filmed in a club! YES!!! It always makes me happy when a video matches its image to the songs tone. Its lighting, use of flashing club lights, bar, dance floor and purple tinted hue all look and feel great, and yes, they all fit the song perfectly! This is some great direction here, and I am adoring how professional Leave A Message is. It's pure quality. Whenever directors and editors play with lighting in a video, I go into happy mode, especially when its done right. Its stylish, sleek, and offers the viewer variety. The silhouettes look sleek, and yeah, it just bumps up the video 100x more for me as a viewer. ... I love a videos quality, okay!? Leave me be! Basically, Leave A Message is a great video and a wonderful song, making it a perfect package for me as both a listener and a viewer. I enjoy it greatly, and I have been hooked on it since Jenny and Mei messaged me regarding the song and its release. I am so happy that I was given a chance to take a look at and review it, because it is great in my opinion. It also happens to be a song that I think you guys should give a chance and listen to, because really, don't be fooled by the fact that these girls a net group or that they are based in America; they are the real deal. There is quality here, and they are, above all, professional and just as serious as any other group out there. 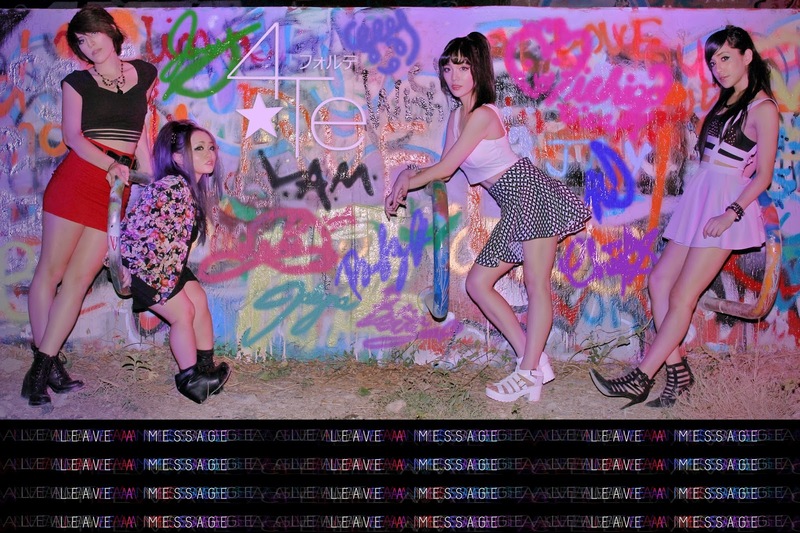 Their passion and talent is high, and I sincerely hope that you all take a listen to 4TE's Leave A Message, because it is worth it. Until then though, it is time for me to go. Remember, stay happy and healthy, enjoy music, and love Idols! Also... call me back! You can purchase Leave A Message via the links above.